One can approach the origins of the term „Smack“ from two angles: from the ship-architectural and from the modernization of the sail forms during the period of bloom of Amsterdam as a commercial power. If we begin during the middle of 16th century, a time of the technical progress in devices for navigation and above all in ship construction in the Netherlands in connection with the discovery of new commercial routes to Asia. Together with the developments in the construction of canals and land reclamation numerous new, smaller types of ships for the transportation of the goods on the water came into existence. One of those innovations was the spritsail which enabled smaller ships to better sail to windward than with the usual yard sails. 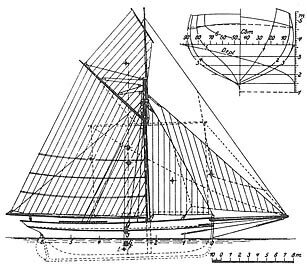 In Holland and soon all over Northern Europe the spritsail also became known as ‘smak' sail (as well as ‘schmack’ or ‘smakke’ sail). 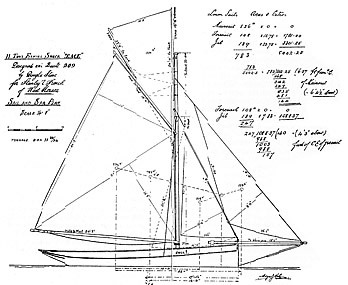 It is possible that at the time the term „smak“ for a rig soon stood for „modern“ in general, which was the fore-and-aft sail (the sails are hoisted lengthwise to the ship). 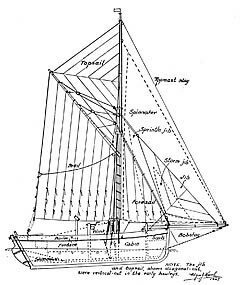 Thus the gaff sail became „smak“, and a new type of Tjalk, cutter-rigged and smaller, was called a Smak. This type of ship was exceptionally successful in the Netherlands and later could be found everywhere along the coasts of the North Sea and the Baltic Sea. However, it would be wrong to see in the Dutch Smak a precursor to today’s smack, the shapes of these ships are simply too different. It is also possible that one innovation took place in separate locations at the same time - as happens quite often in the history of technology - and that the spritsail evolved into the gaff rig independently of each other in England and in Holland. Indeed, a decisive change in ship construction took place all over Europe during this period. While up to the end of the 16th century only bigger warships and merchant ships were covered - often with several decks - little ships like the feeders of the navy, fishing vessels and whaling boats („Dories“) were mostly open boats, without the deck. 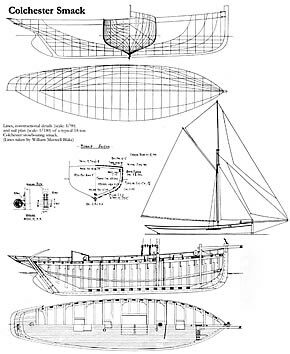 When on account of the growing trade more and more ships of forty to one hundred feet in size were built and sailed in coastal waters, it was necessary for their seaworthiness to protect them with a deck from seas from above. 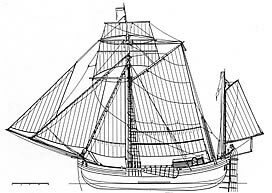 In Holland these ships were called Bojer, Fleute, Kuff, Huker, Galiot or Smak and were equipped with leeboards; in England however, a related type, without side boards was the Hoy. 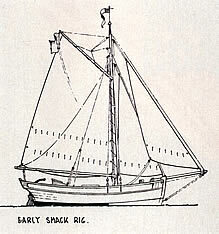 At the time all small fore-and-aft ships along the coasts of England were called a ‘smack’. Only during the middle of the 18th century regional names came into use for these ships, like Doble, Hatch or Peter Boat, Scoot, Sloop, Cutter, Shrimper, Trawler, etc. Only in the region of the Thames Estuary and up to the area of the Walsh the term „Smack“ for a sharply cut, cutter-rigged fishing vessel was maintained. 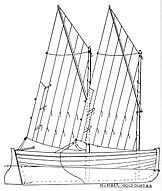 In general the early fishing smacks and the smacks of the 18th century are related vessels, because both were very similar in construction methods and in the style of hull form. 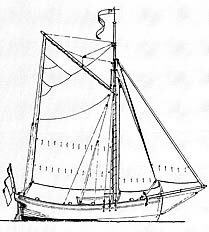 A variation of this type of ship is the Bawley, whose name is probably derived from the boiler on board, which was used to „bawl“ (Essex slang for „to boil“) the shrimps immediately after the catch. She is clearly still reminiscent of her precursor the Hoy, by her fully clinkerbuilt hull form and the boomless gaff rig. 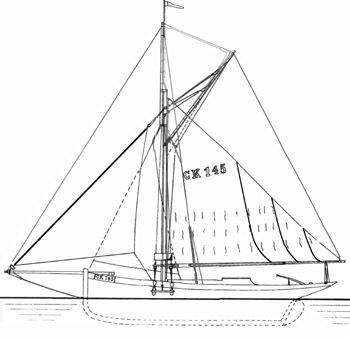 Only during the course of the 19th century the term ‘Cutter’ became a synonym for a very narrow, deep and over-canvassed yacht with a vertical stem and the long counter which sailed very wet in a swell, but with enough reefs could sail close-hauled in almost any weather, if only the crew held out and remained on board. Even today this overbred type is usually equated with the English cutter. However, this is wrong. Restored pilot cutters and oysters smacks with a reduced sail area often became useful, seaworthy cruising yachts. 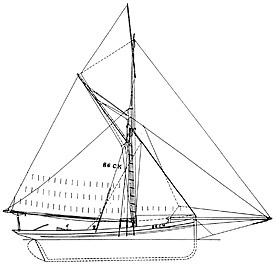 A gaff rigged cutter for cruising should have a well-balanced hull form with not too short a keel. The forefoot should not be cut too much, so that on the one hand the ship rounds well to windward, but in a swell holds a straight course, without the helmsman having to struggle too much.